The reality for most data centre users is that they need all basic issues to be in place. This includes cheap energy and strong connectivity, and also areas as telecoms, power, reliability, taxation and business environment, and the legal/regulatory framework. According to BroadGroup, Iceland has these factors in place. Iceland is also highly attractive in terms of differentiating factors such as power costs and availability, government support and incentives, and operating costs. Power is the biggest operating cost item for data centre users. Iceland is highly competitive on power pricing today, and can provide commitments for ten years or potentially more. Iceland power costs can be halve those in Scandinavia, and significantly more competitive than other European countries. 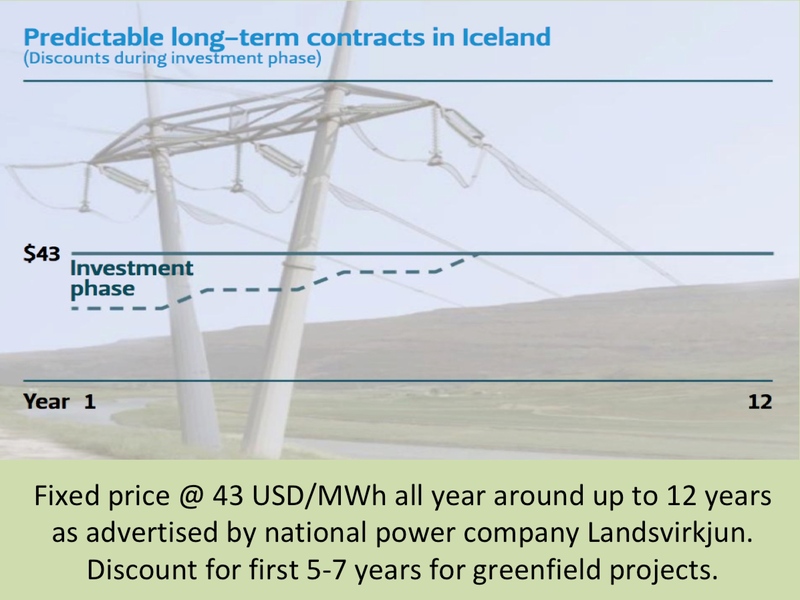 Iceland’s power costs remain very likely to stay much lower than other countries, particularly given the opportunity to cap such prices for ten years or even longer for greenfield projects. Factoring in all data centre cost factors over a ten year period, shows the significant savings available in choosing Iceland (as per chart). Power reliability and quality are extremely high. Iceland has a long history with a key group of power-intensive users already (such as the aluminum smelters). Such users, including global leaders such as Rio Tinto and Alcoa, can have requirements of >400MW and have expanded their sites in Iceland due to the strong reliability and availability. These are users for whom an outage of more than an hour would cause serious damage, and have selected Iceland and expanded in Iceland due to its power reliability. For these businesses, there have no disruptions due to natural disasters since the first smelter started operating in Iceland in over 40 years ago. Icelandic power is 100% green. Iceland is one of few countries in Western Europe with large quantities of competitively priced, renewable carbon neutral electricity. Setting Iceland apart from most countries, it produces electricity using exclusively hydropower, geothermal energy and onshore wind. These are sustainable, environmentally “green” resources with zero carbon trade-offs. This makes it an ideal location for addressing corporate responsibility considerations. On telecoms, existing connectivity, Greenland Connect, FARICE and DANICE are being substantially upgraded, while significant new capacity is planned to be added over the next several years, enabling up to 30 Tbit/s of full capacity. In terms of telecoms pricing, large international users are able to negotiate prices which are comparable with transatlantic prices into mainland Europe. For example, Icelandic prices are close to the Telegeography Median 10G transatlantic prices reported in Q4 2012. The telecoms pricing attractiveness is illustrated by existing users in Iceland, such as Opera Software, which uses >50 Gbit/s of capacity. Furthermore, Iceland is ideally situated between the US and Europe, and is highly accessible with 20+ airlines landing on the island. 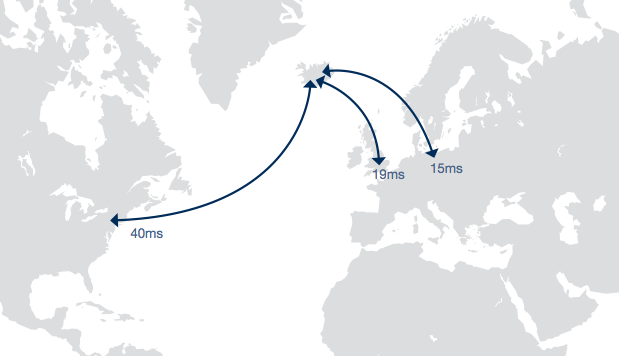 Many of the Iceland data centers are also within a short drive of Reykjavik airport. 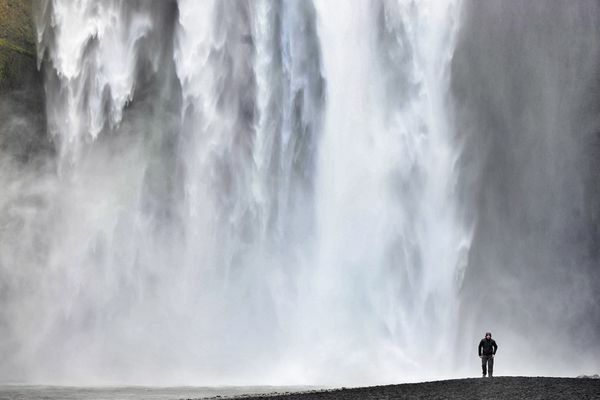 There is a high education level in Iceland and strong availability of highly skilled technical staff. A major issue for data centre users is how a location will evolve over the 15+ years of the facility. Some of the large, existing data centre locations are facing key challenges such as lack of land, power availability and the threat from natural disasters. By contrast, Iceland is rapidly developing as a global data centre location, with a highly committed, stable and democratic government and clear focus on the sector, and a legal system in line with the European Union.. The Icelandic economy is strongly supportive of IT investment, and has particularly looked to ensure it is attractive to those looking to site data centers in the country. This has attracted an impressive range of global companies who already have data centers in the country, including Opera Software, COLT Telecom, BMW, Datapipe and the Joint Nordic Supercomputer. It has also attracted data centre outsourcing companies such as Advania and Verne Global. The Iceland government has also developed specific incentives for the industry. Iceland does have earthquakes, but most are tiny (<2 on Richter scale). They also tend to be well away from the best data centre sites, and the electricity production and distribution infrastructure has been developed in such a way that it is not vulnerable to earthquakes or strong winds. Indeed, earthquakes and volcanic eruptions of the last decades have caused no real damage and had no disrupting effect on the services of electric power transmission, power production or telecommunication in the country as a whole and no effect on local services for the potential sites. A detailed independent study has shown that estimated risk from earthquakes and volcanoes is still relatively low, especially compared with places like California. Indeed, even New York State had 400 earthquakes with Richter magnitude greater than 2.0 recorded between 1700 and 1986. Iceland also has negligible risks from other natural disasters such as hurricanes, heat waves, droughts, wildfires and tsunamis. Iceland also offers two of the other key requirements of many data centre users – space and flexibility. There is plenty of space to build data centers of different designs, rather than being forced to use refurbished buildings or multi-storey sites. For example, land is available at suitable locations close to both the capital Reykjavik and the Keflavik International Airport. And there is flexibility to provide different solutions, from high-connectivity, purpose-built technology parks to sites that are close to energy sources and offer a green and low-cost option. In the last few years, Iceland has been seeing new investments in the form of colocation facilities. Long term contracts for fixed price low cost power, free cooling promoting a year-round power usage effectiveness, well-educated workforce, and several high-speed telecom subsea cables make Iceland a perfect location for data centers with a minimum of cost and complexity. 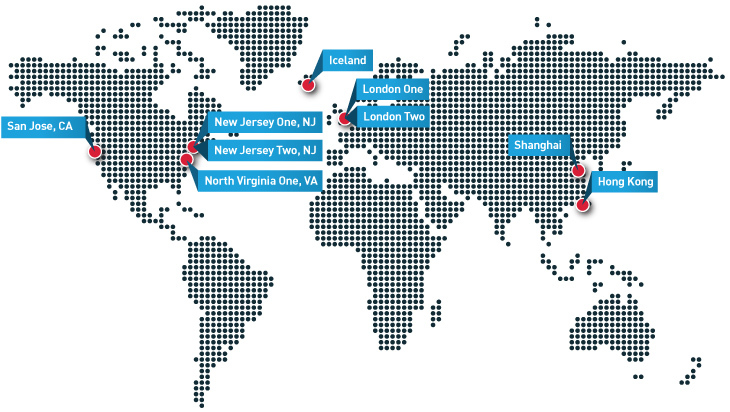 Verne Global opened its data centre in 2012 and has taken on BMW on as a major and expanding client. The Advania-owned highly effective Thor Data Centre hosts search engine Opera’s environment and the supercomputer used by the National High Performance Computing organizations of Norway, Denmark, Sweden and Iceland. Iceland is likely to attract increasingly more colocation facilities, offering equipment space and bandwidth for rental to retail customers. With plenty of renewable energy to spare, Iceland may soon also lure a major internet-giant to host its data in Iceland. Companies like Yahoo!, Facebook and Google have all been looking towards Iceland in this respect. In next post we will be introducing an independent analysis of Iceland as a global data centre hub. This new study was undertaken by BroadGroup, which made a comparison using a wide variety of criteria with today’s leading data centre locations from around the world. The results were strongly in Iceland’s favor. 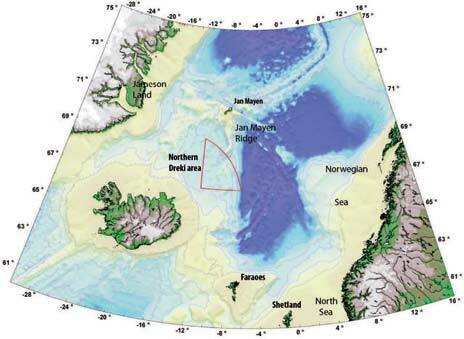 China is showing interest in oil exploration on the Icelandic continental shelf. According to reports, China National Offshore Oil Corporation (CNOOC) is partnering with the Icelandic firm Eykon Energy in an application for a license to explore and produce oil and gas in deep waters offshore Iceland. The area is called Dreki (Dragon Area) and is part of a micro-continent located between Iceland and the Norwegian island of Jan Mayen. Seabed samples from the area have indicated the presence of sedimentary rocks and an active hydrocarbon system. Eykon Energy had earlier applied for an exploration and production license, but without an operating partner. Now, the Icelandic National Energy Agency (NEA) has announced that CNOOC has decided to participate in the application of Eykon Energy as an operator and potential licensee. The NEA will now evaluate further the financial and technical capacity of the applicants and their ability to undertake the exploration and production as described in the application. The NEA estimates that the processing of the application will be finalized within a few months. Norwegian Petoro may also become a partner in the license with Eykon Energy and CNOOC. According to an agreement between Iceland and Norway from 1981, Norway has a right to up to 25% participation in any licence granted within the area of the agreement. Petoro is already participating in two other oil exploration and production licenses on the Icelandic continental shelf. CNOOC’s participation in the project with Eykon Energy would mark the first entry of a major oil company into Iceland’s nascent oil sector (the only foreign oil companies that have been awarded exploration and production licenses in the Icelandic jurisdiction so far, are Faroe Petroleum and Ithaca Energy). If the application by Eykon Energy and CNOOC will be successful and a license will be awarded, it would mark the Chinese company’s first foray into offshore Arctic oil drilling; a new area the industry’s biggest players are scrambling to enter in efforts to replenish reserves. The size of Eykon Energy’s and CNOOC’s stakes in the partnership and the exact location of the offshore Arctic license area will be announced later (probably next autumn). Big oil companies are keen to tap some of the 90 billion barrels of oil the U.S. Geological Survey estimates the entire Arctic region may hold, but progress has been slow and exploration is still at a very early stage. The entrance of CNOOC may become an important step in speeding this process up.